Two boys decide to have a mini-adventure, camping overnight in the nearby woods. But when an unexpected blizzard hampers them and they find something in the woods, this might be an adventure that ends in disaster. 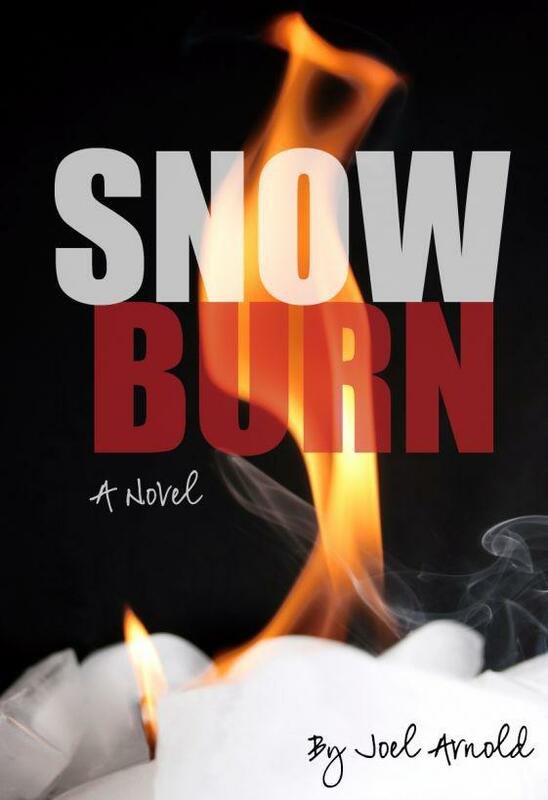 Snow Burn is a short to-the-point thriller for young adults. It is written by Joel Arnold, who wrote the decidedly more adult horror, Northwoods Deep, which I reviewed favourably in 2012 (review here). The adventurous Vince convinces his friend Tommy to accompany him on a small camping excursion in the snow. What was intended to be an opportunity for a standard boyish lark becomes complicated by the onset of blizzard conditions. But the boys’ troubles are not over as they uncover a body in the snow, an unknown body, a body that is still alive. A harmless adventure becomes a struggle to make it through the night, fighting weather conditions and a dangerous stranger. Tommy’s white lie to his protective parents about his whereabouts becomes a potentially fatal mistake and when the confident Vince becomes incapacitated, Tommy’s chances for survival start to look slim. There is quite a bit of tension in this novel/novella but I don’t think it broaches the adults-only territory. I think young readers will appreciate the initial adventure of camping out in an igloo in the woods and will get a thrill out of the predicament the boys find themselves in. I was also impressed that the boys read very much like boys of that age. I didn’t feel like the author was writing about two adults that he was creating in the shape of adolescents; the behaviours and reactions felt pretty genuine to me. Being a fairly small story, there isn’t much in the way of character development. However, you still get a pretty good sense of who these boys are – to each other and to themselves. Tommy is a bit sheltered and lacks some confidence, possibly due to his over-protective parents. Vince, however, is sporty and outgoing. The friendship of the two possibly grows from their differences – and their mutual love of horror films. They compliment each other nicely, with Vince pushing Tommy out of his comfort zone and Tommy being comfortable with Vince’s leadership. Therefore, the decision of the author to incapacitate the stronger of the two allows us to view Tommy in an extreme and dangerous position without his usual crutch. The writing is good. The language used fits the target audience and the prose is error free, which is always a bonus. It’s straight-forward without being overly simplistic and descriptive without being unnecessarily so. Overall, the story is satisfying as a short situational thriller. Because the main characters are boys, it will possibly appeal more to a young male audience. The situation itself might be a little far-fetched, but a younger imagination running wild could get some mileage out of two boys trapped in an igloo overnight in the middle of a blizzard. I’m happy to recommend Snow Burn to the younger thrill-seeker. With thirteen in a single bedroom apartment things can get a little cozy, especially when each resident has a decidedly singular character. But this suits Dan just fine – that is, until a crisis leaves him bewildered and alone. Head of Words is a novel of two fairly distinct parts. First, is the “before” or “leading up to” half and the second is the “after” or “fall-out” half. Dan lives in a one bedroom apartment with a total of thirteen residents – twelve people and one dog. This bizarre living arrangement is broken down by the author into a series of small vignettes describing the arrival of each into these cramped quarters. In parallel, the time-line inches forward in the present, with rising tensions an omen of impending crisis within the apartment. The co-tenants consist of such a diverse group of personalities and each of their entrances into Dan’s life and apartment are recounted, sometimes to hilarious effect. I was happily trapped within the cacophony, but wondered what form the coming crisis would take. I was delivered – an event. After this event, Dan finds himself alone, having lost his friends; his apartment no longer a haven. It is at this point that Dan’s mystery begins as he searches for his friends and tries to avoid a mysterious and threatening stranger. I really enjoyed the plot for this novel, and I appreciated the rather drastic change in mood in the second half. The laugh-out-loud scenes in the book, help give the jagged transition into darkness more impact. I admit that I was enjoying the vignettes so much that I failed to notice the significance underlying the story, which made the journey all the more fascinating for me. It’s hard to really give the space required to illuminate the eccentric characters that make up this story, but in the centre is Dan. It’s his apartment and he tends to keep the different personalities around him in line. He comes across as an affable, submissive and broke adult who is failing his way through life. A dramatic scene has estranged him from his parents and the only real support he has (although not really financial) is from his friends. It’s hard to really like Dan. He’s a bit of a nothing character who’s only real interest to the reader is the company he keeps. But, I believe this is the point of his portrayal. He is the most lifeless and yet most vital part of the group. As he’s falling, the reader feels an overwhelming sense of inevitability with rock bottom being the only possible destination. I have previously read The Tube Riders by this author and reviewed it favourably (review here). This book is decidedly different, but equally enjoyable. If you like the idea of lively series of vignettes with eccentric characters devolving into a personal descent into darkness, I can definitely recommend this novel. I know it’s a fairly unusual construction, but I believe that it works well. The secret is not to let them know you’re aware of them. Keep quiet. Keep moving. And whatever you do, don’t speak their name. The Takers is set in a contemporary Earth which has somehow been invaded by creatures that have devoured nearly all the population. It has a post-apocalyptic feel, a landscape with empty houses and abandoned cars strewn along highways. The atmosphere is heavy with silence and the dread of these marauding creatures, who appear when acknowledged to consume any in their path. Oz Griffin wakes up after a week in the delirium of illness, to find his house empty with no sign of his parents. As he searches his neighbourhood for people and answers, he stumbles across several terrifying creatures prowling the area, alerting him to an immediate danger and providing the dreadful clues to what might have happened to his local community. He decides to mount an expedition to his uncle’s home in another district. With his German Shepherd and a car he doesn’t know how to drive, he sets off on a journey that evolves over the course of the book into an epic mission to defeat these predatory creatures and restore his world. I liked the idea of this story. It remained dark, while not presenting any material that I felt unsuitable for younger adults. It delivers plenty of adventure, action and suspense. I was intrigued by the author’s use of the disabled in the story, in particular those with Down Syndrome. I think challenging the perceptions of the reader, by presenting these characters in an unexpected role, can be a powerful tool to refocus awareness. This is not to imply that this story takes a particularly heavy-handed or didactic approach, just that playing with perceptions can sometimes elicit a consideration from the reader that may not have otherwise been triggered. With a German Shepherd, a small gang of survivors, a particularly wise gorilla, a comic book and hordes of enemies, as mysterious as they are vicious, this is a vividly imagined adventure in a dark world. The only thing I didn’t really appreciate was the plot mechanism used to end the story. It left me a little deflated after enjoying the majority of the novel. We killed the retarded boy. He took his own life, but we killed him just the same. It’s a bold move by the author to cast such a dark shadow on the character with which the reader is going to take this journey. The approach seems vaguely reminiscent of Stephen Donaldson’s portrayal of Thomas Covenant – one of the most infamous anti-heroes in the fantasy genre, but translated into a form that a younger reader can appreciate: bullying, the antagonism of children with disabilities and the potential result. The book focuses on Griffin’s redemption and the continued influence of Stevie Dayton almost as a manifestation of his guilt. We experience the character’s growth over the course of the story and the qualities within him, previously used to inflict pain on Dayton, are gradually transformed into a positive force. I had no issues with the prose in this novel. It was very readable, managed to generate the right atmosphere and was dark without being too dark given its target audience. There were no noticeable errors in the text, nor did I stumble across clunky expressions or word misuse. 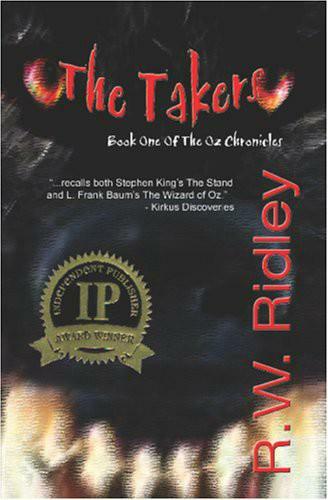 The Takers is the first book of a series of novels called The Oz Chronicles. As of this review, there are six books, so if you like the first, there’s quite a bit of material to move on with. The Takers was the recipient of the 2006 IPPY (Independent Publisher Book Awards) for Horror, with the second instalment, Délon City, taking a bronze IPPY in the subsequent year. He sits in his cell, scribbling notes and awaiting his fate. How did he get here? Is his real crime that he loved the wrong person? Initially written as a memoir while waiting to be executed, George Rowlands’ is less a coming-of-age and more a coming-of-death story. He writes a cautionary tale of a young working-class artist-in-waiting, who is taken to heady heights with the help of his patron, Sir Henry Wallace. When a slowly growing sexual tension between student and patron erupts into passion, Rowlands’ good fortune turns to betrayal and he is left waiting for the hangman’s rope. The pacing of the story is rather interesting. The first part seems to be more a development of Rowlands’ character and his relationship to Sir Wallace. We experience how the community of artists worked at the time, the trending artistic methods and mediums, the influence of the artistic elite and the function of patronage and the Royal Academy in furthering the success of select aspirants. The historical setting is immersive and satisfying as we watch the rise and inevitable fall of the protagonist. Towards the end of the story, the book evolves into a murder mystery and this changes the pacing and feel of the plot. Murder, mistaken identity, the implication of (what were thought to be) minor characters, revelations, conspiracy; the development is intriguing. I can imagine that for some, this pace change might not be welcome and I can fully appreciate that those who expected a murder mystery might have been frustrated with the first half of the book. However, my expectations worked in reverse. I expected an historical drama and was fully enjoying it when I was introduced to a “whodunnit” in the final half. Additionally, rather than veer toward the spectacular, the murder mystery stayed true to the earlier exploration of the mechanisms and constraints of the society at the time. Rowlands is the protagonist and I was satisfied with his development throughout the story. His hopes and naïvety, his burgeoning desires towards other men, and particularly towards his benefactor, Sir Henry Wallace all rang true. His observations throughout the story, his curiosity, sensitivity and paranoia were all portrayed well. It was interesting to see that resignation rather than terror kept him company while waiting for execution. He knew he was a victim, to be flung under the wheels to protect Sir Wallace and he almost seemed to accept that inevitability in the end. It is perhaps the result of living in a society where the illusion of equality isn’t apparent or necessary. The wife of Sir Wallace becomes a more prominent character towards the end of the story. The wife always knows, but despite this she continues to provide plausible deniability for her husband – his proclivities, a secret for which she remains complicit. Her role in the mystery is revealed at the end, but her commitment to remain her husband’s shield, while probably quite realistic, still seems baffling to a contemporary reader. The writing was very effective. I did notice a passage where the tense changed in an unexplainable way and I read through a scene where a certain piece of dialogue was repeated in an illogical manner, but these were just small one-off issues. Overall, the prose was successful and there were some passages of searing beauty; in particular, a scene where Rowlands was sketching a model and describing the perfection of the male form. Such a scene could have been tawdry and eroticised, but the author chose to create art instead and the result was impressive. 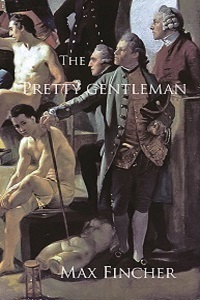 The Pretty Gentleman is an early 1800s historical drama with an element of murder mystery. It’s the coming-of-age tale of a young artist growing up in a society from which he would eventually be expelled once he’d become inconvenient. It’s also a fascinating look at a time in our past when homosexuality was practised in secrecy for fear of reprisals. I really enjoyed this book and would recommend it particularly to those who like historical dramas. A storm is coming and Jimmy feels it. As his birthday draws near and his brother returns from the Parachute Regiment, Jimmy faces a future that could break him. And then there’s the sea – always the sea. 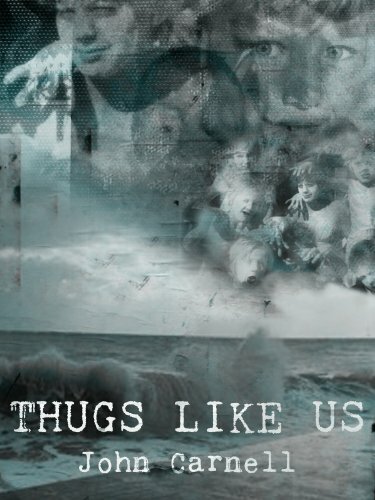 Thugs Like Us tells the story of Jimmy, a pill-popping, grog-swilling, off-the-rails punk living in a working class home in the coastal district town of Broadgate, England. The structure is basically “a week in the life”, but it’s a pretty eventful few days. We live through Jimmy’s birthday, the return home of his older brother, the important decision of his best friend and a number of sexual encounters, each of varying importance. There are a few cross-road moments in the story, but in each one Jimmy seems to make the wrong choice, pushing him further towards a fate that I believe he expects and, therefore, doesn’t struggle against. This story feels a little like an S E Hinton novel with a UK punk feel. Regardless of feelings and thoughts, the characters move, as if on rails, to a destination already chosen for them. This is the kind of story I can really enjoy and I certainly enjoyed this one. There was only one scene where I felt disconnected because of a logical continuity issue that wasn’t significant to the message, but threw me nevertheless. An underage night in a bar where alcohol was not permitted was suddenly full of beer drinkers. I didn’t understand what had changed to make this a logical development so I remained thrown out of the story for a bit. The blurb refers to Jimmy, the protagonist, as a ‘caged animal’. Although, this is accurate on the surface, there is more to this character than merely a trapped feral. Jimmy’s response to his captivity is ambivalent. Although his aggression is externalised, it sometimes seems less an act of defiance and more an act of self-sabotage. He has a pervasive fear of the sea, but I’m not sure it’s because he feels hemmed in by it. His response could also represent an almost agoraphobic fear of freedom and the change required to gain it. I really felt like I connected with Jimmy. While not a punk myself, I appreciated his fear of change, his reaction to the sea – that dark, uncaring destroyer always at the edge of his senses, and his need for violent self-sabotage. Two other characters seemed to have the most impact on Jimmy. His brother, Martin, became the awful failure he could look forward to. The imagined success of his time in the army soon dissolves in the overwhelming urges of violence and self-obliteration. The other, Singe, his best friend, provided an almost perfect validation for all of Jimmy’s irrational fears in a scene as mesmerising as it was unsettling. In the end I was left with the impression that the fear of escape was a stronger motivation than the frustration of captivity. The writing itself is fantastic. I felt every punch the author threw; Jimmy’s fears, his anger, his obsession with the sea. Every intention coursed through the writing like an electric current. Singe’s final scene was breath-taking and that scene alone would be reason for a re-read. This is a debut novel, but I’m hoping it’s not the last. For those who like a bit of S E Hinton ‘realness’ and wouldn’t mind translating that to a harsher British setting, now is the time to purchase and enjoy Thugs Like Us. With one word, Gabe Warren has committed himself to a secret government organisation for a purpose he doesn’t understand. All because of who he is – and who his father was. 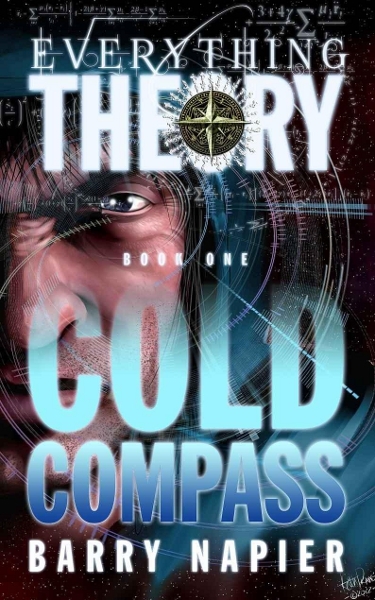 Cold Compass is the first novel in a series about a young man whose mysterious background makes him important to a covert government operation investigating “disturbances”. The story leaves the details deliciously up in the air, dropping breadcrumbs for the reader to follow as the story progresses. This is a classic television series opener. Hints of X Files, Warehouse 13, Ghost Whisperer and other programs spring to mind while reading and although the story fits a mould, this didn’t deter me at all. As a story, I thought it was worthy of some time investment. 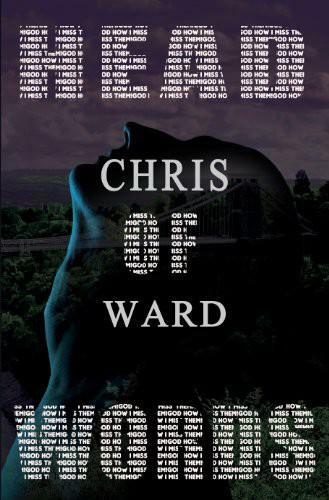 The novel includes the opening case, the introduction of a mysterious antagonist and some revelations about the covert operation and Gabe Warren’s past. There were a couple of times where I felt the story structure failed a little. In the first of Gabe Warren’s supernatural encounters, a particularly tense moment was all but destroyed by the inclusion of an untimely flashback. A potential issue I have is that what the reader doesn’t initially know, and is revealed over the course of the story, is the major selling point of the book. There is going to be significant pressure on future volumes to continue to “come up with the goods”. Because this kicks off a series, the major players are introduced to the reader and although there are not too many surprises, there aren’t any real disappointments either. Gabe, as the protagonist, ticks off the necessary boxes to remain interesting. He has conflicted feelings towards his scientist father, who worked on secret government operations and died, abandoning him and his mother. He has capabilities that he is only just becoming aware of and, to add drama, has authority issues. He was familiar, but in a good way – the kind of character I like observing in different situations. The head of his little team and Gabe’s CIA bodyguard make up a trio and it looks like there’s reasonable scope for exploring each of them more over a series of stories. I was happy with the development of these characters. There’s also an antagonist and it looks like he’s probably going to remain the nemesis of our heroes, providing the larger story arc for the series. I liked this character in that not too much was revealed, leaving plenty of scope. He was also genuinely creepy. Unfortunately, although I rather liked the plot and the characters in Cold Compass, I can not say the same for the writing. When the primary aim was the propel the plot from A to B, the narrative was effective enough if not particularly sophisticated. I don’t have an issue with simple, if it gets the job done and supports a story I want to read. However, as soon as there was a need to intensify mood or illustrate a scene more fully, the author fell short with clunky prose that often made me wince. I constantly felt that in the more descriptive passages, the need to illustrate outweighed the need for the words to make sense. Unfortunately, not observing the latter disrupts the success of the former. I felt like it was left to me to pick up the pieces and reconstruct the image the author intended. This might make for an interesting writing exercise, but does nothing for me as a reader. Cold Compass was, for me, a fairly solid story with serviceable characters that were let down by ineffective prose. In the end, the writing transformed something that should have been largely enjoyable into hard work. Not everyone places the same level of importance on the writing when compared to the story being told. This is a reasonable position to take and those who feel like this might not suffer from the same level of disappointment. However, for those who treat effective prose as a key to the success of a story, I don’t think this novel is going to bring satisfaction. Bridge is accustomed to dealing with shady characters. But sending in a patsy, strapped with explosives, to make a deal for you is likely to grab Bridge’s attention in all the wrong ways. Again we’re in a near-future, where the government has leased the running of cities to various corporations, Chronosoft being the corporation running L.A. While the stories in the Bridge Chronicles are fairly wild, there is little doubt that the author puts forward the idea of leased governance as a plausible development. The concept is quite scary and Chronosoft represents a worst-case scenario. In this novel, we see the gangs and violence escalating in the previous novel transformed into a commodity product, a top-rating reality TV show. There have been a few stories and movies serving as extreme examples of what reality TV could devolve into. Consider this to be another. The story is one step too far for me in my enjoyment of the series. Previous books had a habit of pushing the envelope a bit. The introduction of the technomancers in the second novel was the first example of standing close to the edge. Mathematicians and scientists using advanced knowledge to be power-wielding magicians was initially a bit much to swallow. However, the third novel was solid and used technomancy without making everything about technomancers. 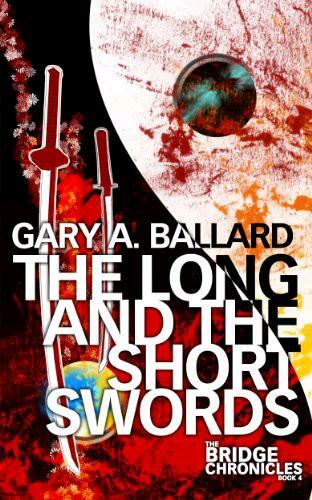 In this story, the author introduces mysticism in the form of ninja-like assassin clans with extraordinary abilities. Drop this ingredient into the mix and it all becomes a bit much. The action is still great and the initial storyline was still clever, drawing me in with a great opening. However, once the theme was revealed, it elicited a sigh rather than a gasp. This story sees the return of several characters from previous novels. Artemis Bridge is the same slick fix-it guy and we are also entertained by returning co-stars Mu, the technomancer, Stonewall, the Los Magos gang leader and Aristotle, the philosopher bodyguard. Masa, katana-wielding gang leader of Asia Town also returns with a bigger role than in the prior stories. Just like in the other novels, the characters elevate the story. The banter and the dynamic relationships make reading the adventures of Artemis Bridge fun. Logan is the new kid on the block. A ninja-like assassin, he shares point-of-view responsibilities with Bridge. We get his life story and it’s reasonably interesting given that he represents an element of the novel of which I’m not that fond. The writing is punchy like in the previous books. I can’t complain how the author gets his point across. I find his prose pleasurable to read and his style often draws a smile from me. I sometimes wonder if he is, in fact, Artemis Bridge; there’s a cheeky sarcasm to the narrative that reminds me of the anti-hero. This is apparently the last of the Bridge Chronicles. However, it is not the end of the world that the author has created. The evil Chronosoft is likely to make another appearance as the governing corporation of L.A. in a novel or series featuring totally different characters. I’m not saddened as I think Artemis Bridge has had a good run, the third novel probably being my favourite. So long, Bridge. If I need something I’ll give you a call. As he watches the accursed Day of Accolades take away more children from the Smear, Keedar promises that one day he’ll stop the nobles’ exploitation of the under classes. On the same day, he encounters Winslow, a noble risking the Smear to win a chance to train with the King’s Blades. Together they become caught in a dangerous game of power, the Game of Souls. The world the author has created in Game of Souls is fairly well sketched out. In the continent in which the story takes place there are several racial groups or kingdoms that are either at war or uneasily at peace. Our story is set mainly in the city of Kasandar in the kingdom, Kasinia. A map is thoughtfully included for the times when place names and races become a little confusing. 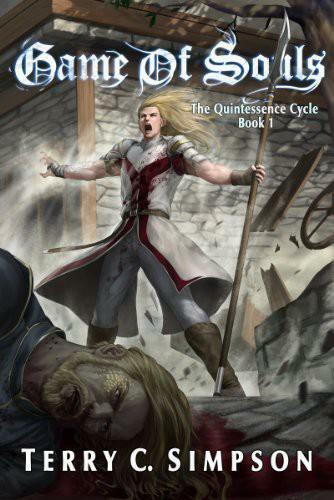 The author has focused on Kasinia and has managed to provide quite a bit of detail about the people, the politics and the magic system. It’s quite impressive that so much has been imparted to the reader about this culture without resorting to the infamous info dumps sometimes employed by authors. As I progressed, I found that I understood the parasitic ruling class and those who would oppose it. The magic system doesn’t initially seem fleshed out and at times it felt like the author was just adding a detail to get himself out of trouble. However, there is a small summary of “soul magic” at the end of the book and reading this gave me confidence that the author had fully realised the magic system in advance and had applied it logically throughout the storyline. The plot is a very involved one, steeped in intrigue. The ruling houses of Kasandar move ever toward the next Succession Day, a bloodbath signaling the climax of Far’an Senjin (Game of Souls), a devious and ruthless game of power. Although I wouldn’t necessarily call the story gritty, it is quite dark. The machinations and power plays and the bystanders caught in the crossfire almost always makes for an interesting tale, and this story is no exception. There were a couple of times I felt thrown. The arch ‘frenemy’ of the king, Count Cardiff, makes a pretty big jump to a different area of the continent, which didn’t really ring true to me – neither his absence from the city, nor the apparent lack of awareness of his departure. It was also difficult to get an impression of how much time passed which added to the disjointedness. Additionally, once Cardiff’s plans came to fruition, some of his scheming remained a little opaque to me. It gave me less of a pay-off than I would have liked. Although I’ve only ever watched Game of Thrones on television, I think this story shares more than just a similarity in titles. There is something about the nature of the Game of Souls that reminds me of the power struggles in the other, and the Dracodar bear more than a passing resemblance to the “dragon lords” of Martin’s work. That’s not to say that this novel is derivative – it definitely has its own direction. It just seems to give one or two nods to its almost namesake. Protagonist duties in the story are shared between two adolescents, Keedar and Winslow. Keedar is the son of a guild member living in the Smear, basically the home of the under classes. Winslow is the son of a Count, one of the most powerful families in the realm. The two boys are paired by luck and the machinations of Keedar’s father and we see their lopsided relationship develop throughout the story. Keedar is a strong character, talented in soul magic, pragmatic, determined and with an unshakable loyalty to his father. Winslow is not quite as strong but is filled with pride and the determination to develop his soul magic for the service of his kingdom. Given the class disparities the two don’t enjoy an immediate bond, but I was happy to see how quickly they put these aside to work together. A story full of wounded pride and temperamental tiffs would have grated. The other character that is reasonably well developed is Count Cardiff, Winslow’s father. He is the antagonist and his devious plans are what drives most of the story. His selfish need for power is absolute. The only sympathetic element to his character is his love for his long dead wife; everyone else is disposable – even his son. There are some other characters of interest: Keedar’s father and his uncle, a few warriors and an assassin. They are not developed deeply but they definitely add interest and twists to the story. Some of them look like they will be fleshed out further in future books. I didn’t encounter any real problems with the prose. The writing is neither too simplistic nor too sophisticated. I can’t recall any major errors or clunkiness in expression. There might have been a typo here and there, but nothing that stayed in my memory. Basically, I found the writing to be of publishable quality. Game of Souls is set to be a trilogy and, in my opinion, it’s going to be a good one. The ending delivered a couple of twists and left the story where my interest was definitely piqued. The only problem is that this is an author with quite a few projects on the go. So the second and third books don’t seem to have any guaranteed release dates at this stage. If you’re the kind of reader that doesn’t like to wait too long for your fix, this might be an issue and it might pay to wait at least until the second book is released. However, if you like a fairly dark and intelligent fantasy and you don’t mind delayed gratification, I would recommend this book. The story is told smoothly overall and the world and premise are well constructed. The rains are here and Bangkok is flooding, but the big wet isn’t going to prevent a gang war. As the waters rise, so do the stakes. Chance returns to showcase Thailand’s underbelly in the electrifying sequel to Bangkok Burn. After a small job to rough-up a rival family’s wayward son derails, Chance Paknam and his family find themselves in another volatile situation. In the first novel, the author pounded the reader with adrenaline-fueled action. In Bangkok Wet, he has managed the impossible and cranked it up another notch. After a messy opening, we encounter deaths, weddings, abductions, manipulations and double-dealing, mystery antagonists, explosions, police corruption, unexpected revelations and my personal favourite, crocodiles. The fact that this all takes place in Bangkok during the infamous 2011 floods, adds a currency and a freshness to this explosive gangster thriller. It’s difficult to pick fault with this story. I think it’s everything it needed to be to seize and maintain my attention. There were no dull pauses and although the action was frenetic and exhausting I never felt like I had had enough. 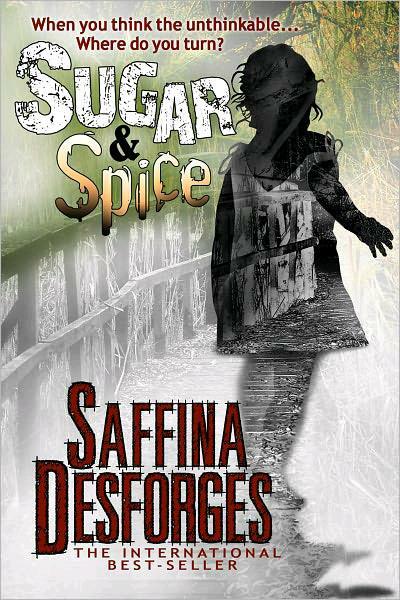 I devoured the book in a couple of sittings, which is a pretty good indication that the story worked very well for me. My favourites are back in this novel and nearly all are anti-heroes. The author left the model citizens out which only made the experience more delicious. Chance features again and he’s sympathetic for an anti-hero. Just like in the first book, I was cheering for him the whole way. I like a protagonist that is allowed to make mistakes and Chance makes his fair share. For much of the book he and his smart and powerful family are being played. Chance becomes the boxing bag of our mystery antagonist and he certainly takes a beating. However, he remains charming and smooth even while looking (and feeling) like Hell. What’s not to like? Chance’s adopted parents feature more heavily in this story. We see his “mother”, Mere Joom take a much more active role. She is still very much the voice at the other end of the phone, but in this story she spends some time in the spotlight proving that she’s as good at using a weapon as she is at using her extensive criminal network. I was smitten with this character in the first novel so it was a delight to see her take a bigger role. Chai, Chance’s bodyguard is omni-present again in this novel. He plays the part of a very faithful dog, if that dog was a trained commando, and he is the main reason Chance survives more than a dozen pages at any given time in the book. He continues to provide a good foil for the slick, decidedly less military Chance. I really can’t complain about any of the characters. Whether they play smaller roles or are central to the story, all display an obvious personality. It adds a welcome vibrancy to the storytelling. In the first novel, one of my few concerns was that I wasn’t totally sold on the attempt to give a Thai feel to the language of the narrative. Although a clever idea, I felt that it had a negative (albeit small) impact to the flow. Not so in this novel. I either didn’t notice it – or it wasn’t there. There was still a conversational element to the style of the narrative which I quite liked. Chance would talk to me, condescending with a “…you farang…” qualification here and there, reminding me that I am an outsider permitted but a glance into Chance’s world. I loved this approach, and being talked down to didn’t rankle at all. It was fitting – and it worked. I can’t wait to read the next book of this series. The author left me on a cliff-hanger and I simply must find out what happens next. I know not all readers like cliff-hanger endings so there may be a justification there to wait until the next book is released before reading this one. Otherwise, for those who like non-stop action and mayhem in a very real setting, observing a Thailand very different from the holiday brochures, I say dive into Bangkok Wet. You won’t regret it.